How to Use GPS For Fishing Like A Pro Angler? It doesn’t seem right if someone plans to go on an adventurous fishing trip with a quality fishing reel and without a GPS device. GPS stands for Global Positioning System. The world is moving towards advancement and embracing new technologies every day. Now, this technology can also be used for fishing. It is a map provider that lets you identify the fishing spots and mark them. For your ease, we would like to mention some names of handheld GPS devices that you might not have bought yet. So, these are few handheld GPS units that have a good reputation in the market. GPS also provides information like water depths, the shores nearby and it is handy as well. Who would not love such useful stuff? 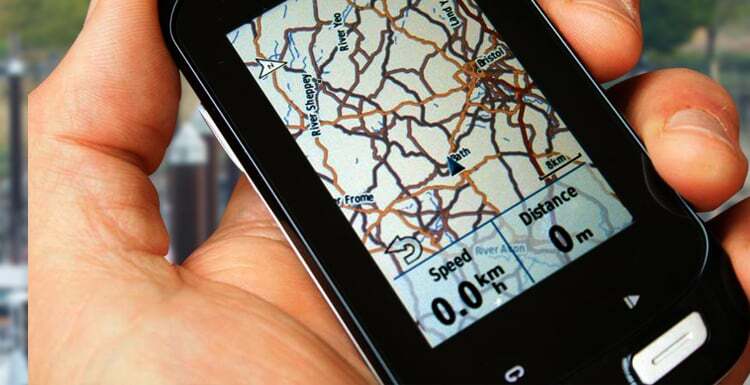 The first task to use GPS is to switch on it, load the map and confirm the map provider of one’s handheld GPS receiver. You have to store the loaded map in the memory of the GPS receiver. Some GPS also provide Nautical graphs that make your search simple. Other GPS may also have Chart plotters. The next stage is connecting the GPS to the computer. The way of connectivity depends on the model as they vary from each other. For example- we have already mentioned about Garmin. It connects through serial ports and transports data through software called “Vantage.” Many other GPS uses USB option as well. You should check the manual to know about the process of connecting that specific GPS to the computer. After the data is transferred, disconnect it and check if the data are in the devices’ memory. Now, prepare yourself to get started. But, first, make sure that your GPS is getting a strong signal and is showing location accurately. If it determines the current location, mark it immediately by using the measurements of both latitude and longitude. This will help you to return to your current place after your fishing is completed. Do not start with weak signals. Be patient until it gets the connection to satellites. You would need to zoom the display of the receiver to an opposite scale. You can zoom in a scale of 1/4th a mile or smaller than that if you are boating. If you are fishing from any riverbank or the fly-fishing, then zoom in at the scale of 80-160 feet. You should also know that GPS records your journey and the travel route and thus we are required to consider the underwater terrain with the extent of the water surface. How much do you know about the breadcrumb feature? It tracks your moves and starts to receive data. This feature will help you to get your fishing spot by indicating path though lineup. The angler decides on a recording space for this feature. For pontoon boat- mark remains between 50 to 250 feet, for fishing in any sea- dimension remain 1/8-1 ¼ miles, and for fly fishing, it remains within 10-25 feet. Way point is needed to record the depth of water. Besides all other features, GPS has the option to put comments. So, you should label the way points continuously by using icons and meaningful information. Lastly, finish your fishing by recording useful data to your GPS. You can give the title, put data about weather, water and other necessary information that can be used for your next trip. We suggest you take spare batteries and a waterproof GPS receiver for your comfort. By now, you might have learned how to use GPS and catch fish almost effortlessly.